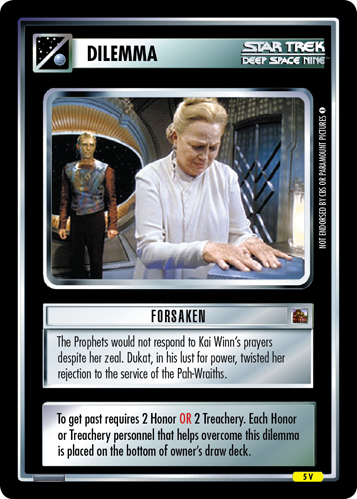 The Prophets would not respond to Kai Winn's prayers despite her zeal. 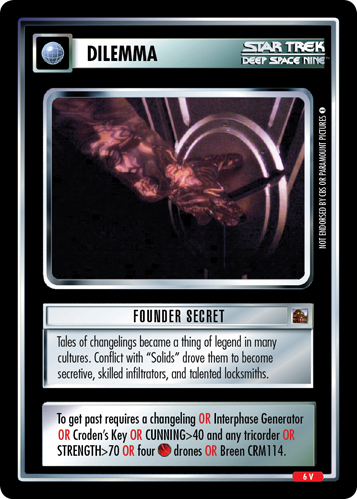 Dukat, in his lust for power, twisted her rejection to the service of the Pah-Wraiths. To get past requires 2 Honor OR 2 Treachery. Each Honor or Treachery personnel that helps overcome this dilemma is placed on the bottom of owner's draw deck. 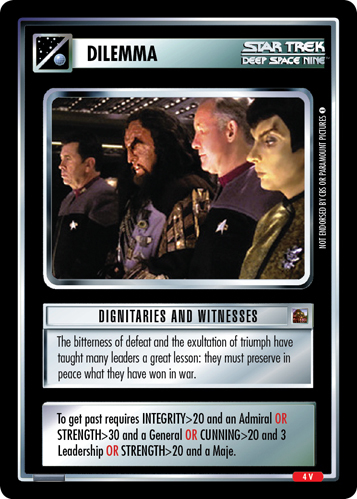 Image Source: Deep Space Nine: "Strange Bedfellows"